Leonard D. Schaeffer, founding chairman and CEO of WellPoint, current senior adviser to TPG Capital, a private equity firm, and a prominent policy expert in health care financing and delivery whose career spans both the public and private sectors, was elected to the USC Board of Trustees on April 7. Recognizing the need to bridge the gap between the academic and policymaking communities in order to effectively shape health care reform, Schaeffer and his wife, Pamela, made a gift to establish the USC Leonard D. Schaeffer Center for Health Policy and Economics in 2009. Housed jointly at the USC Price School of Public Policy and the USC School of Pharmacy, the center conducts rigorous interdisciplinary research that is necessary to develop and evaluate solutions for controlling health care costs and improving patient outcomes in the United States and worldwide. In 2012, Schaeffer made an additional gift of $25 million to endow and support the center, which is recognized as one of the country’s premier policy institutions. With more than $52 million in external grant funding, the USC Schaeffer Center has responded to the demand for independent information and analysis in many significant policy areas, including aging and Medicare, medical innovation, insurance and pharmaceutical markets, prevention and value promotion in health care delivery. 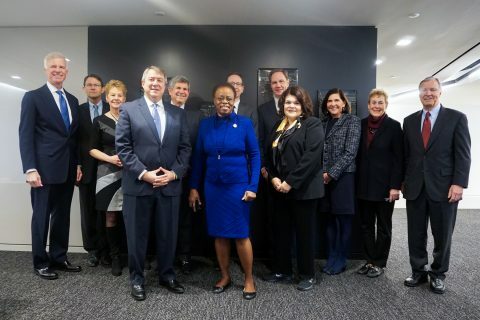 The center’s research results and conclusions are routinely communicated in peer-reviewed journals, leading media features and directly to policymakers through congressional and legislative testimony and private meetings. 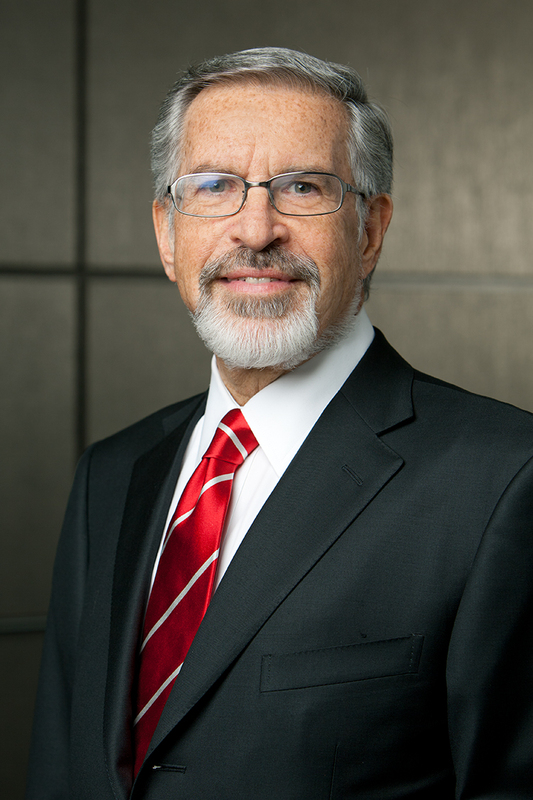 Schaeffer is well known for his executive leadership in the private sector. In 1983, he joined Group Health in Minneapolis as its president and CEO. In 1986, he was recruited as CEO of WellPoint’s predecessor company, Blue Cross of California, when it was near bankruptcy. He managed the turnaround of Blue Cross and the IPO of WellPoint in 1993, which included establishing two of the country’s largest private health care foundations. Schaeffer served as chairman and CEO of WellPoint from 1992 through 2004, and he continued as chairman through 2005 when WellPoint had become the country’s largest health insurance company. WellPoint currently is one of the country’s largest health benefits companies, serving more than 34 million people in its branded health plans and nearly 67 million through its subsidiaries, with annualized revenues of $60.7 billion. Schaeffer began his career, however, as a public servant. Born and raised in Evanston, Ill., he graduated from Princeton University with a degree in economics and, after a brief stint with Arthur Andersen, joined state government. Between 1972 and 1976, he worked as deputy director for management at the Illinois Department of Mental Health and Developmental Disabilities; director of the Illinois Bureau of the Budget; and chairman of the Illinois Capital Development Board. In 1978, he moved to the federal level, becoming assistant secretary for management and budget of the federal Department of Health, Education, and Welfare. Ultimately, Schaeffer was named administrator of the Health Care Financing Administration (now the Centers for Medicare & Medicaid Services), with responsibility for the Medicare and Medicaid programs. Schaeffer, who lectures and writes widely on health policy-related issues, is a director of Amgen Inc. and Quintiles Transnational Corp.; a trustee of the Rand Corp. and the Brookings Institution; a member of the Rand Health Board of Advisors; a member of the Board of Fellows at Harvard Medical School; and a member of the editorial board of Health Affairs. He was elected a member of the Institute of Medicine (IOM) in 1997. At USC, Schaeffer holds the Judge Robert Maclay Widney Chair, a select executive-in-residence appointment accorded by the university president and named for one of USC’s founders. 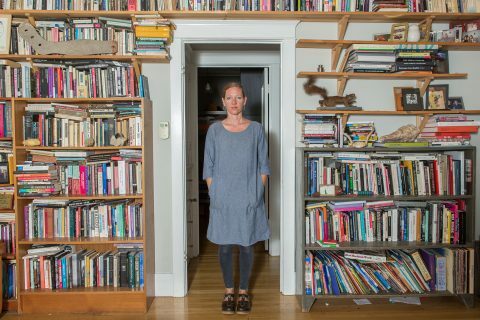 In that capacity, Schaeffer teaches a graduate seminar in health care leadership and management, and he lectures in undergraduate courses. 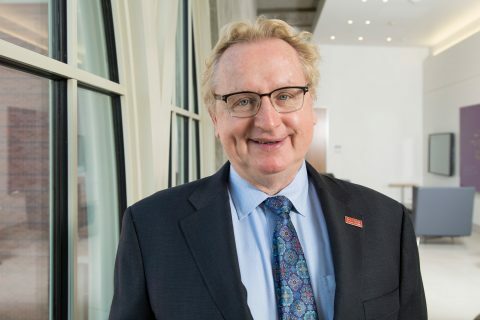 He also chairs the advisory board for the USC Schaeffer Center and is a longtime member of the Board of Councilors for the USC Price School. In keeping with his strong advocacy on behalf of higher education, Schaeffer also has endowed academic chairs at the Brookings Institution; University of California, Berkeley; IOM; and Harvard Medical School. He has served as a Regents’ Lecturer at UC Berkeley and a Gilbert Fellow at Princeton University. 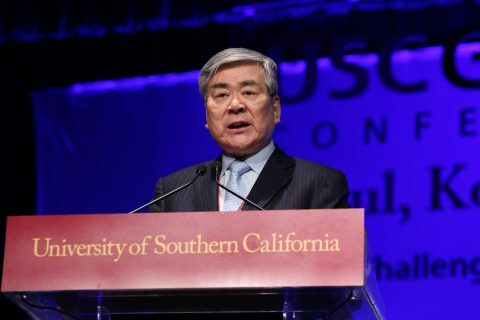 In 2012, Schaeffer received the USC Sol Price Award for his achievements as a business leader, policy expert and philanthropist, and the Honorary Alumnus Award from the School of Pharmacy Alumni Association. Among many other honors, he also has received the Distinguished Public Service Award from the U.S. Department of Health, Education, and Welfare; Citation for Outstanding Service from the American Academy of Pediatrics; the Executive Leadership Award from the UCLA Anderson School of Management; and the CEO Information Technology Achievement Award from Modern Healthcare and the Healthcare Information Management Systems Society. Schaeffer and his wife, the former Pamela Sidford, reside in Los Angeles and have two children. Their daughter, Jacqueline, received her master’s degree from the USC School of Cinematic Arts in 2004. 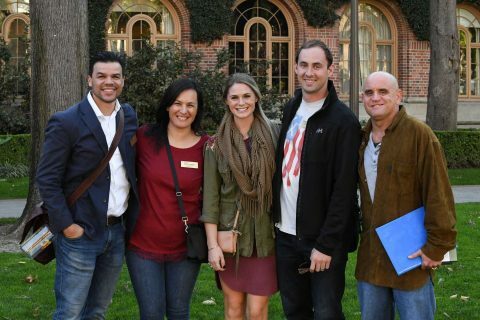 A new USC Marshall certificate program, With Your Shield, provides veterans and their spouses special access to civilian business networks and educational opportunities. 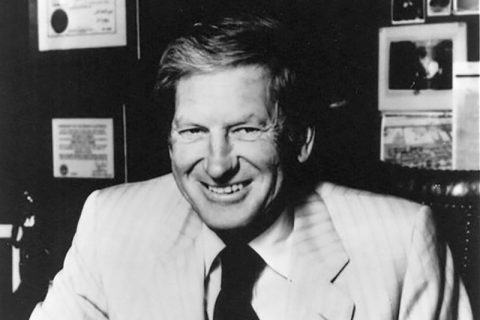 The business leader and philanthropist earned his accounting degree from USC in 1949 and gave generously to his alma mater through the years.